This is my 2nd time eating at Nagomi and it’s still as good as the 1st time I visited them a year back. Very good for small intimate dinners or gatherings, and for those who want that authentic Japanese feel for their dining place. Potato salad and fried salmon chunks. Simple but tasty! Same tofu salad I had the last time, still as delicious. One of the rare places where the salad dressing is tasty enough for me to eat the salad! And the tofu is really nice too, another aberration for me haha! 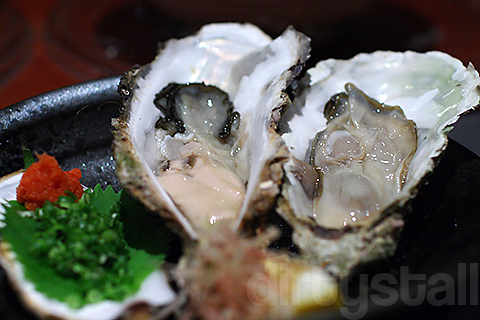 I read about these giant oysters on another blog and was pleasantly surprised when the chef served them. Very juicy and succulent, a taste of the sea! 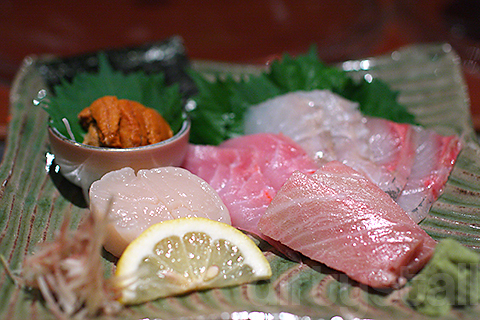 Nice fresh and juicy portions of sashimi. The scallop was really large and sweet! 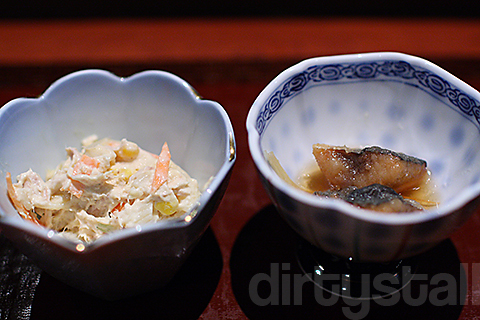 This is flatfish, simmered in a soya sauce, mirin and sake based soup. 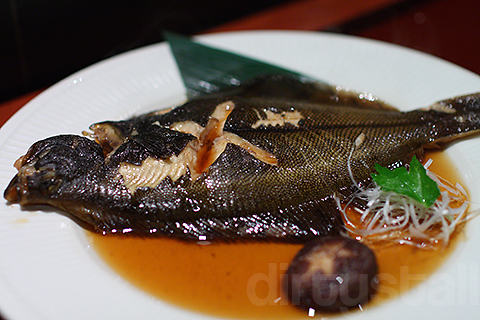 The flesh of the flatfish was so delicate and soft, it came off the bone effortlessly. 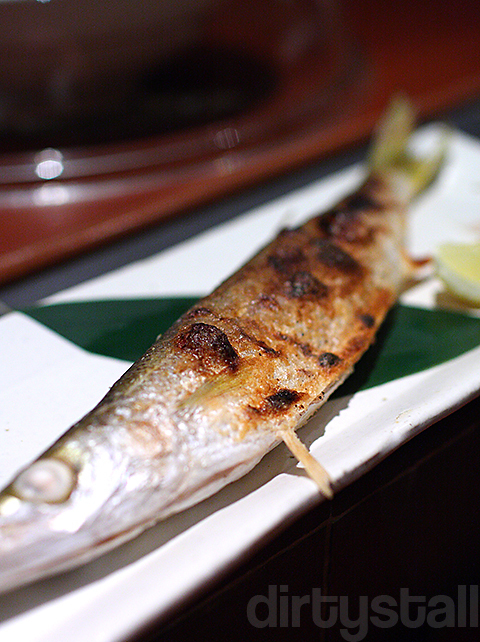 Right after the karei came the sanma, also known as mackerel pike. 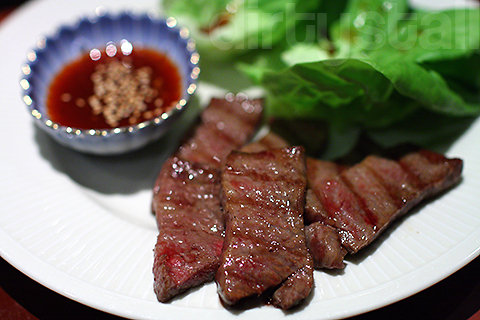 Long and thin, its skin was grilled to a salty crisp but the meat inside was still tender and delicious. The chef was going to give me some rice dish when I quickly told him to serve me this as I loved it the last time also. A hearty dish to warm up the stomach. End of dinner cleanser. Refreshing! 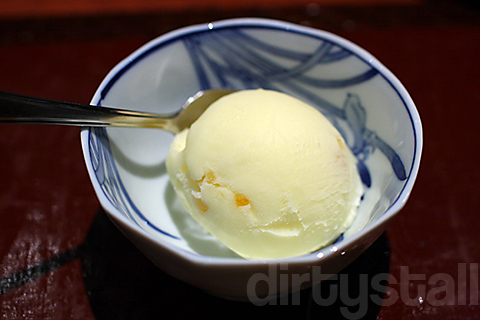 14 Responses to "Nagomi Redux"
Lookin’ good but both your omakase looks the same haha. And to add. 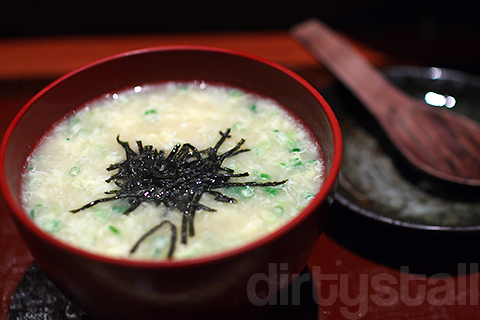 I think you should try other places for omakase! 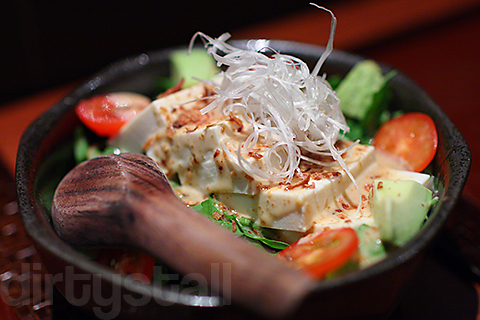 For some reason tofu doesn’t appeal to me but Nagomi’s one was quite alright for my palate! Thanks and have a happy new year too! this looks delish! happy new year to you! Yah it was a delicious meal 😀 And happy new year to you also! How much does the meal cost? its a set meal? Yes reservations are highly recommended! It’s an omakase meal but certain dishes can be asked for if you know in advance like in my case, and the cost starts at $70+ usually. Wow $70, an expensive meal!